The product code for this David Hunt ceiling pendant is EUS0122. 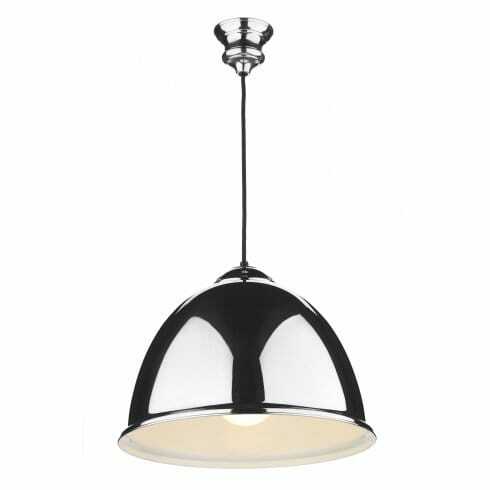 It features a sleek, domed, polished chrome pendant which can be wiped clean for easy maintenance. The white interior bounces light for brilliant illumination and the black braided cord allows it to harmonise with most modern decors.